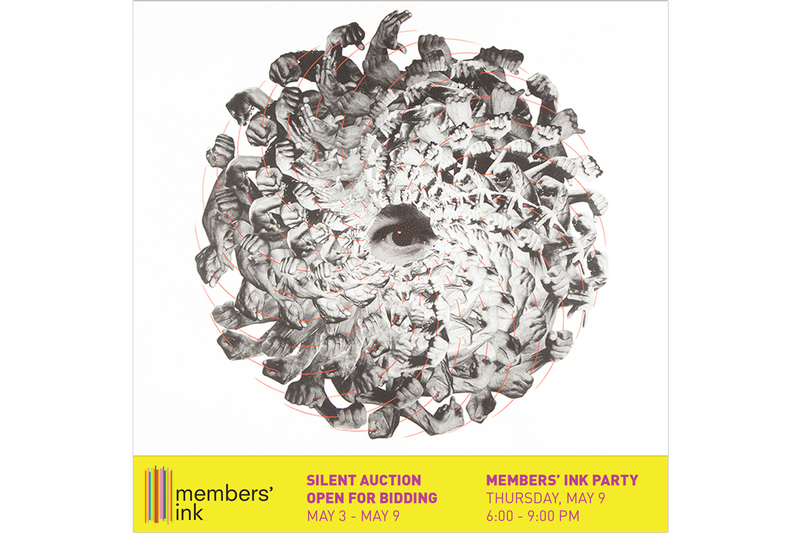 A Silent Auction in Support of Open Studio. 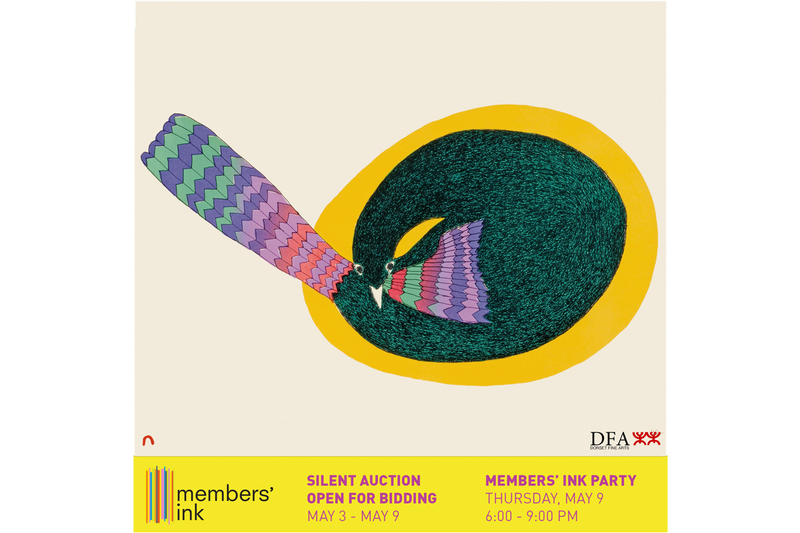 Members' Ink 2018 event night. 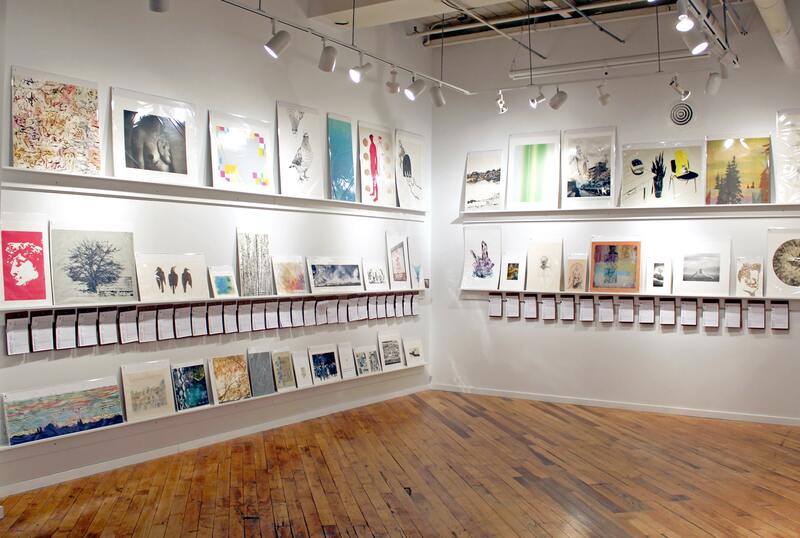 Installation shot from Members' Ink 2018. 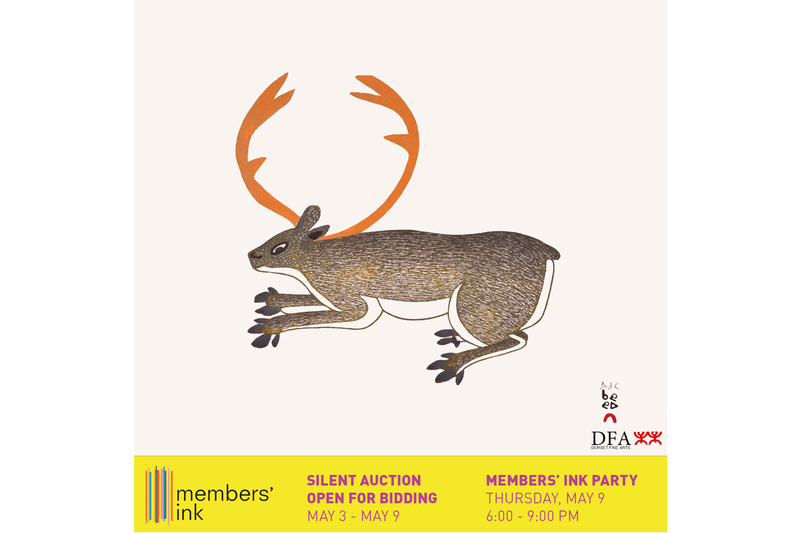 Ohotaq Mikkigak, Hidden Caribou, 2014, stonecut and stencil, 12.8" x 15". In partnership with Dorset Fine Arts. Quvianaqtuk Pudlat, Mighty Bear, stonecut, 24" x 38". 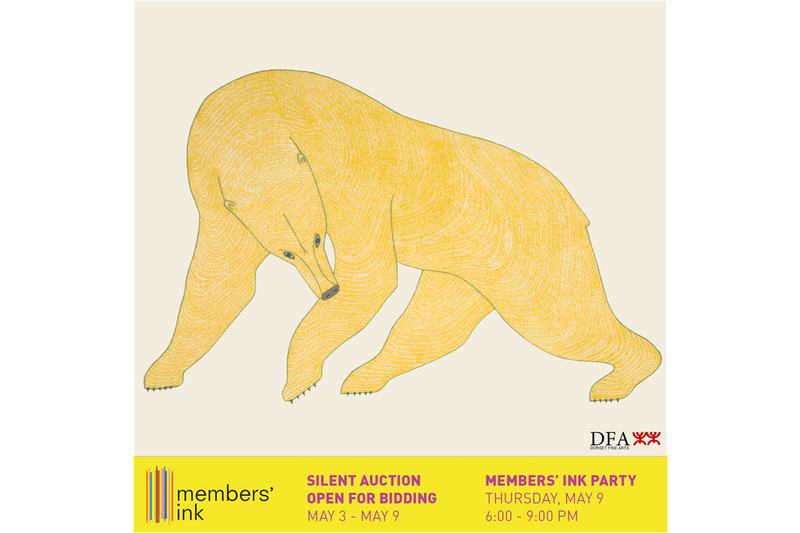 Generously donated by Dorset Fine Arts. 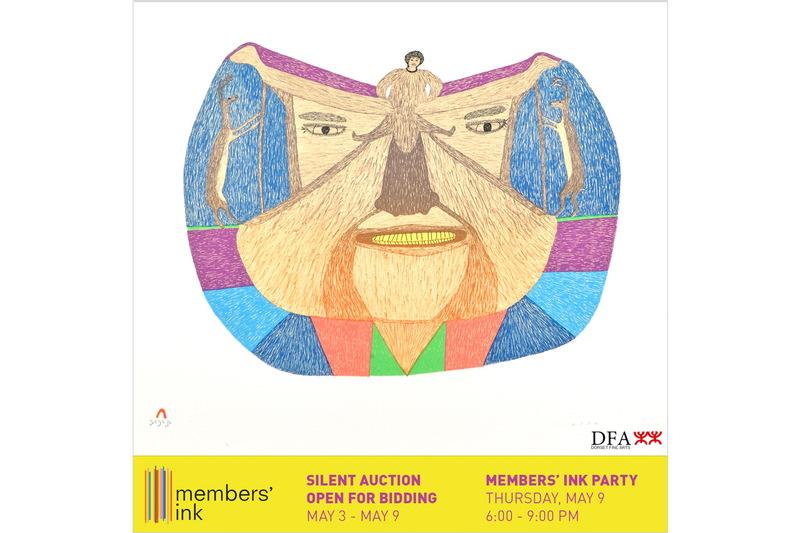 Kakulu Saggiaktok, Resting Bird, lithograph, printed by Niveaksie Quvianaqtuliaq, paper size: 15” x 22.3”. In partnership with Dorset Fine Arts. John Massey, Black Eye, 1988-89, lithograph and screenprint, edition 28/40, paper size: 28.5” x 26”, printed in collaboration with Carl Skelton and published by Open Studio, 1988. Oshoochiak Pudlat, The Face, 1983, lithograph, 20" x 26". In partnership with Dorset Fine Arts. 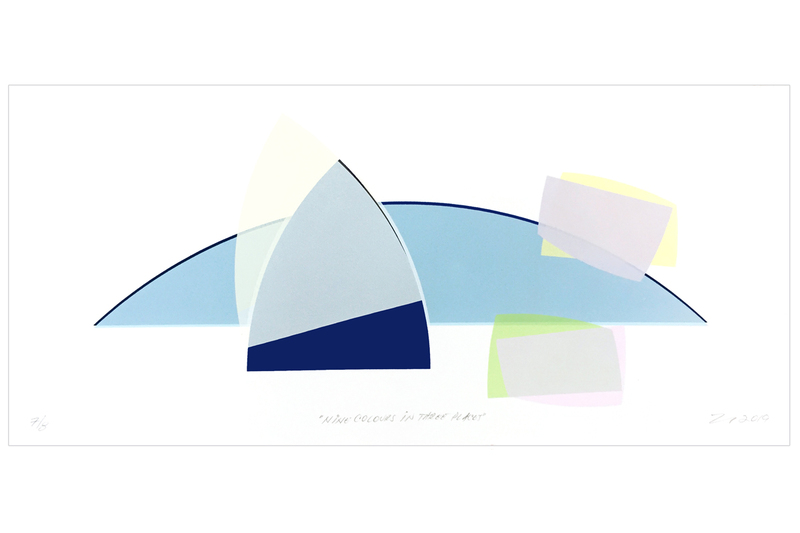 Silent Auction Print: Walter Procska, NINE COLOURS IN THREE PLACES, 2019, screenprint on Washi (Japanese paper), 7/8, 8" x 18". Thank you to all our raffle prize donors! Check out the raffle prizes here. 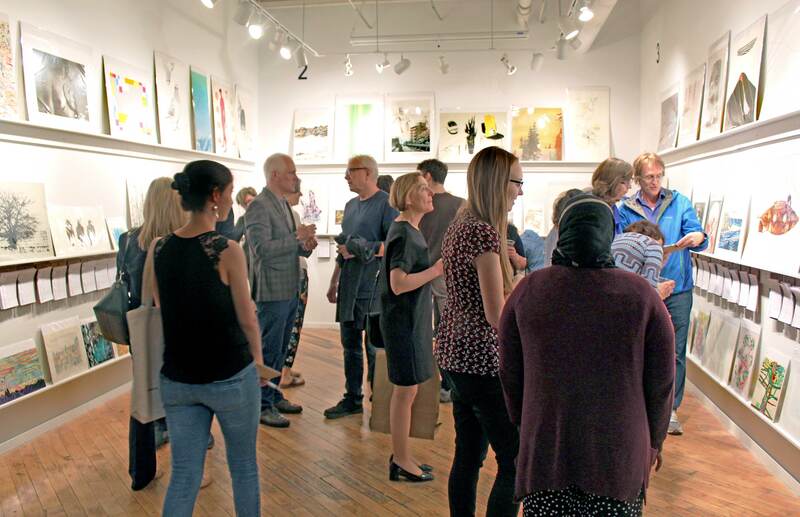 For further information, interviews, or images contact Laura Bydlowska, Programming & Office Manager (laura@openstudio.ca).